10 Ontario pot shops got the go-ahead to open on April 1st, and this is no joke. Ontario Canada joins the realms of cannabis legalization across the country that gets to experience purchasing products at a brick-and-mortar store vs. an online government website. The Alcohol and Gaming Commission of Ontario confirmed that 10 legal stores were set to open across the province on April 1st. All 10 locations have been approved by the commission and many have opened their doors. But, what’s in store for Canadian cannabis consumers? Consumers are looking to get legal cannabis products from dispensaries in Ontario. Many of them are tired of purchasing cannabis online due to excessive wait times and excessive packaging. Doors Open or Do They, April Fools! How long will it be before shortages, and sub-standard product start to surface? 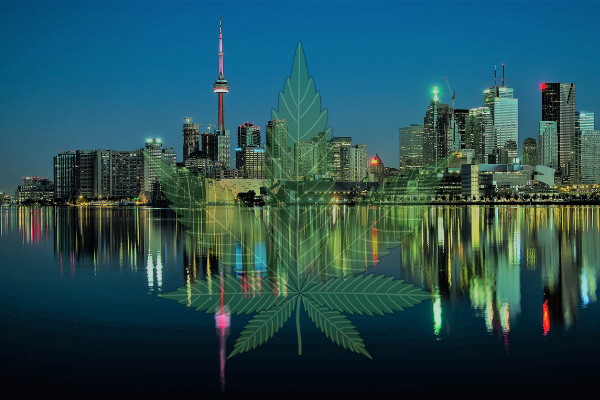 Hopefully, Ontario has learned from others and can avoid these “pot”-ential mistakes. Needless to say, cannabis businesses are open in Ontario and the first sales were on April 1st. This isn’t an April fool’s joke either. Here are the names of the 10 legal Cannabis stores that the Alcohol and Gaming Commission of Ontario approved. Companies that weren’t open as of April Fool’s Day have the potential to be fined up to $12,500 every two weeks. On top of that, they also face a potential fine of $25,000 if they do not open before the end of the month. Have you visited a store in Ontario? If so, let us know in the comments below.